GirdwoodSquadron.com is an email domain and resource sharing site for Civil Air Patrol (CAP) members. 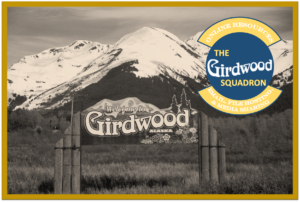 Named after the lovely village in South-Central Alaska, the Girdwood Squadron is a notional CAP unit, representing this online resource. If you would like an email address at this domain, or would like to add additional resources to this site, please contact Lt Col Edward Bos.